Samsung is not only rumored to be preparing three or even four variants of its next flagship device for an early 2019 release, but also a fairly large number of new mid-range phones reorganized in Galaxy M and A lineups. The Galaxy M20 (model number SM-M205) is quite possibly the company’s least cryptic non-flagship product of next year, having already revealed its waterdrop notch (aka Infinity-U Display design), as well as storage configurations including 32 and 64GB. Of course, none of that is etched in stone just yet, and the same goes for a rear-mounted fingerprint scanner and vertically-arranged dual camera setup on the back of the M20, which are freshly suggested details by a purported case leak. 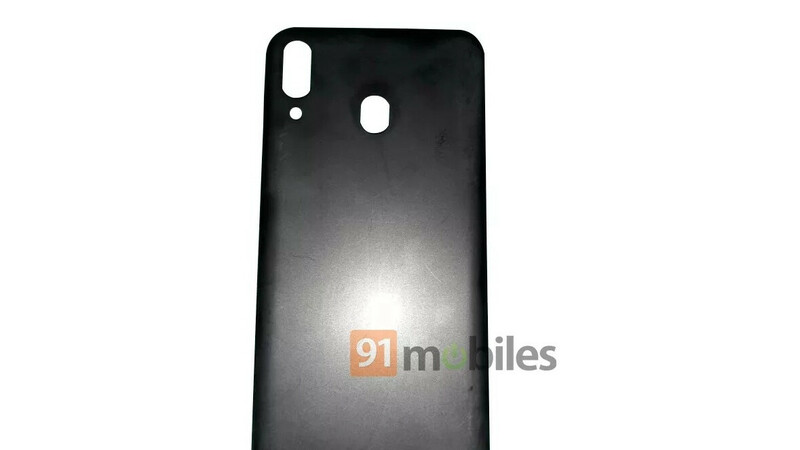 The newly disclosed image may or may not show a legit Samsung Galaxy M20 protective accessory, although if you ask us, both those features make sense. This will clearly be a humbler model than the triple rear lens-sporting Galaxy A7 (2018) and quad cam-rocking Galaxy A9 (2018), the latter of which also comes with a conventional fingerprint reader on its back. It’s definitely nice to see this case hinting at a headphone jack on the Galaxy M20 as well, despite the Galaxy A8s seeing daylight a few days ago without the beloved 3.5 mm audio connector. All in all, Samsung seems to be thinking of trying many different things to revitalize the company’s stagnant mid-range sales, which is by no means a bad thing. As long as the M20 is priced aggressively enough, the waterdrop notch alone could prove a major bargain hunter magnet.